If every meeting held in the USA used one banner, it would use enough vinyl to cover approximately 760 American football fields. And while some meetings go without vinyl, many also use much more than one banner. A single trade show may use tens of thousands of square feet of banners to acknowledge sponsors, inform attendees and brand event space. So what happens to the millions of square feet of vinyl we use at events every year? This is the myth, or perhaps mystery, I’m exploring this week. Where might I see vinyl at my event? Name badges: Holders are commonly made with clear PVC vinyl. Alternatives: compostable PLA, recyclable PET or polypropylene (PP) plastic holders, or holder-less badges made of paper. Flexible banners: Flexible hanging banners and adhesive decals are often made of PVC vinyl. Alternatives: Digital displays or other non-PVC flexible textiles, such as PP, PET or polyester. Event kiosks: Rigid panels that are inserted into aluminum tracking frames for signs, registration counters and exhibit kiosks are made from PVC vinyl. Alternatives: Cardboard, non-toxic wood fiberboard. Table tops: Exhibit hall table cloths are also made of PVC vinyl. Alternatives: Paper, non-PVC coated cotton. Structures/frames: While not as common as metal and aluminum frames, some event structures may be made from PVC piping, similar to what can also be used in housing. Alternatives: Check out this list from Greenpeace. Promotional items: Some promotional giveaway items might be made of PVC and other kinds of non-recyclable plastics. Alternatives: Anything! Human health impacts: One reason vinyl is on the event sustainability radar is due to the health and safety concerns related to the manufacture of PVC. The vinyl chloride used to manufacture PVC has been identified as a possible cancer-causing agent by the International Agency for Research on Cancer. While closed-loop manufacturing processes reduce the risk of human exposure to PVC, advocates claim the best solution is to reduce the use of the potentially harmful substance as much as possible. Disposal and degradation: Vinyl is also not easily recyclable. And once discarded, degradation of many kinds of plastic also put food webs at risk, especially if PVC is combined with biodegradable plastic resins. To help address this difficulty, vinyl manufacturers have provided a list of over 100 recyclers who will take back the material. While directories like this are helpful, they are rarely convenient for an event planner, who relies on an event venue or general services contractor to dispose of the material. 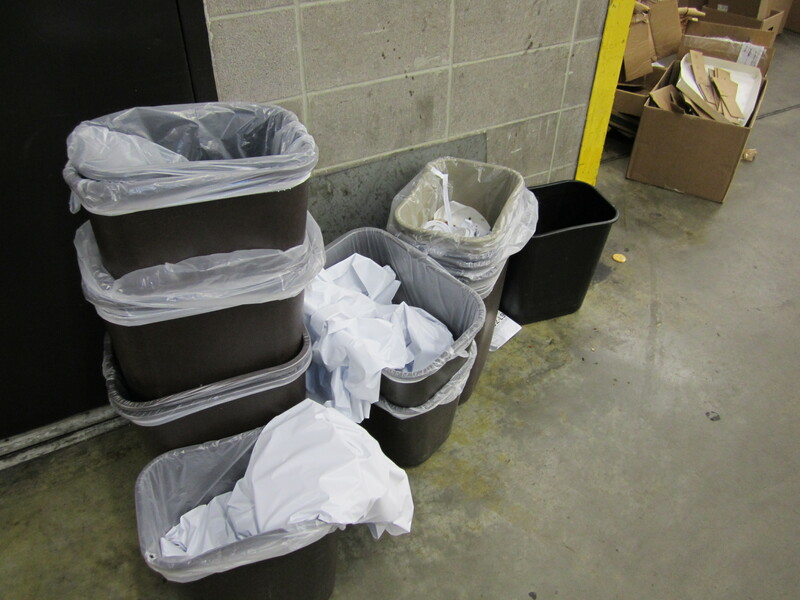 In response, general services contractors are developing their own recycling and take-back options for vinyl. Most event venues, however, cannot divert vinyl from landfill and sending the material to specialized recycling centers costs money. Some convention centers may make arrangements to redistribute vinyl to community groups. Still, in certain communities it is not possible to recycle the material in any quantity, even if you wanted to. And for those that do take it, it is typically down-cycled. The point being: vinyl is technically recyclable, but you need to ask if it can be recycled in your event location or by one of your vendors. Without extra effort by you that may involve added cost, it will typically go to landfill. Consider a policy for PVC (vinyl) use at your events. Anticipating controversy with the use of PVC at temporary venues, London 2012 did this, outlining parameters for determining when use of the material was appropriate or not. They’ve also provided lessons learned related to the exercise. Minimize use to only essential applications. Ask yourself if you need it or if it’s a nice-to-have. Prioritize PVC for applications it is essential for, like safety, outdoor use or items that must be durable to enable reuse. Convert to more environmentally friendly options wherever possible, including for indoor, one-time-use signs or name badges. Consider alternatives where possible. Digital signs, cloth and paper options may meet your needs just as well as vinyl. Talk to your venue about digital options and your graphics company about new, greener substrates. Organizations such as the Sustainable Green Printing Partnership have lists of graphics companies that can provide more green-minded banner solutions. Design installations for reuse. If you must use PVC consider how you can maximize reuse potential by adopting a multi-year branding strategy for your event and eliminating dates from signs and structures. 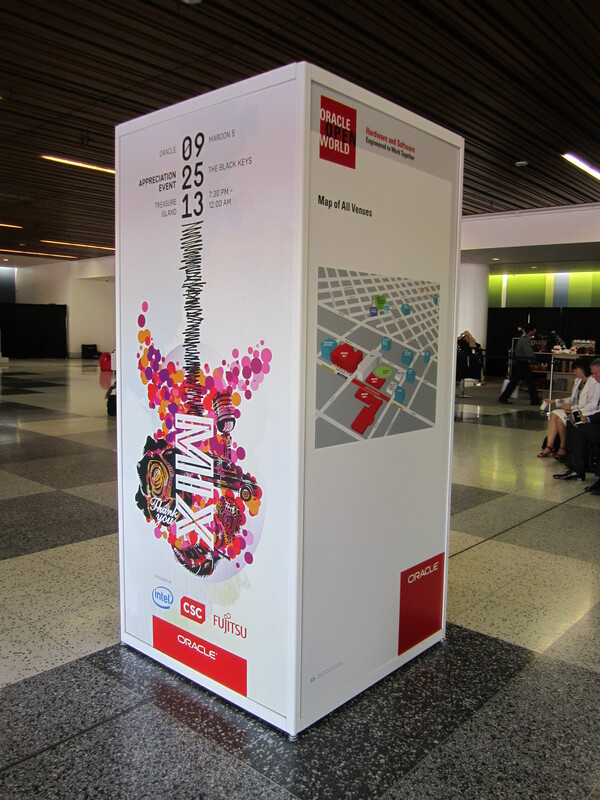 Also consider modular banner and structure sizes that will work across different events and venues. Ask for recycling or donation options at your event site. Don’t assume because your venue recycles plastic that this means it will recovery vinyl. You must ask if it’s possible to keep it from landfill and if any special separation is required. And be mindful that donating vinyl in a non-useful form can often just off-load the recycling burden to someone else. Upcycle. If you must use flexible banners, consider upcycling it into something new at the end of its useful life, such as tablet cases, bags or name badges which may be sold or given away at future events. If you can’t use it consider making it available to schools, theater groups, artists or farms. Yes vinyl may be cheaper and more convenient, but remember: someone else may be paying a higher cost for its use beyond your event. So research and use alternatives as a first course of action so you can reduce how much you use. Where alternatives are not feasible, ensure materials are kept from landfill. Assumptions: 1,833,200 meetings held in the USA per year (2012). Popular banner size of 8’x3′ used. Football field is 57,600 square feet in area. Check out these other Meeting Mythbusters.